Meghalaya Election Result 2018 will be declared on March 3, 2018. The tenure of Meghalaya Legislative Assembly ends on March 6, 2018. Meghalaya Assembly Election 2018 was held on February 27, 2018. Meghalaya Assembly Election 2018 was held on February 27 for 59 of 60 assembly seats. The scheduled election in Williamnagar constituency has been delayed to an undeclared date following the death of Nationalist Congress Party candidate Jonathone Sangma in an Improvised Explosive Device (IED) blast in East Garo Hills district on February 18. In Meghalaya, the face-off is between incumbent Chief Minister Mukul Sangma of the Congress and National People's Party (NPP) aspirant Conrad Sangma whose siblings Agatha and James Sangma are also in the poll fray. Some of the other heavyweights in Meghalaya elections are Congress' Salseng C Marak who was also the former chief minister of the state, People's Democratic Front's (PDF) chief ministerial candidate Pynshngainlang N Syiem, United Democratic Party's (UDP) party president Donkupar Roy. Counting of votes for Assembly Elections in Meghalaya is underway. Trends shows the ruling Congress party ahead in the state followed by National People's Party. Meghalaya comprises of 60 assembly constituencies. A total of 55 constituencies are reserved for Scheduled Tribes and the remaining are for the general candidates. In total, 370 candidates contested the Meghalaya Assembly Election 2018. Of these, 338 are men and 32 are women. Meghalaya saw 84.86 per cent voter turnout on February 27. 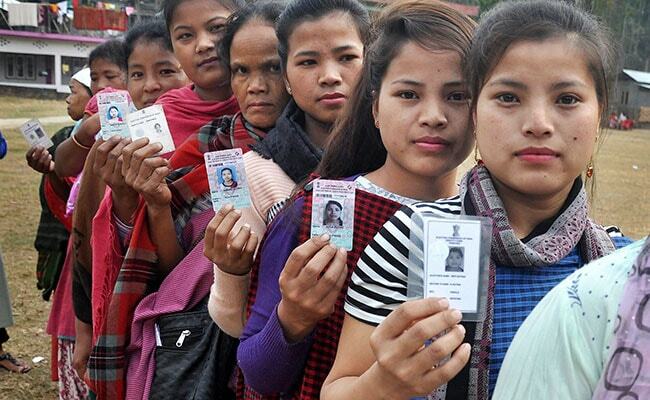 In 2013 Meghalaya Assembly elections, the voter turnout was 87 per cent. According to the State Election Commission, 1,842,163 electors were eligible to cast their vote. Of these, 9,12,849 were men and 9,29,314 were women. The polling was held on 3,082 polling booths. Four prominent parties are fighting the poll battle in Meghalaya - Indian National Congress (INC), Bharatiya Janata Party (BJP), National People's Party (NPP) and United Democratic Party (UDP). The ruling Indian National Congress fielded 60 candidates. The United Democratic Party contested from 35 seats. The BJP fielded 47 candidates while National People's Party contested from 52 constituencies. In the 60-member Meghalaya assembly elections, a party would need 31 seats to get a clear majority. Meghalaya Election 2018 Exit Poll by JanKiBaat-NewsX predicts that that the National People's Party (NPP) is set to gain with 23-27 seats while the BJP will get 8-12 seats, with vote shares of 39 and 12 per cent respectively. The Congress is predicted to win 13-17 seats with a voteshare of 21 per cent and others are likely to get 2 to 6 seats. The CVoter exit poll predicts a close finish, with the Congress likely to get 13-19 seats and the NPP 17 to 23 seats, with vote shares of 36.5 and 29.4 per cent respectively. The BJP in Meghalaya is likely to get 4-8 seats with a vote share of 16.6 per cent, the poll said.